How to Freeze your stubborn fat- pinchable fat without surgery, diet & exercise? With the lifestyle and working style today, the question which comes to everyone’s mind is how to freeze those bulgy areas, stubborn fat and give nice shape to our body that is permanent and has no side effect. One want’s to get rid of stubborn fat and noticeable bulges with no time and it should not give any side effect in any way. Surgery is another fear which most of us are scared and do not want to go to this length to freeze fatty areas. 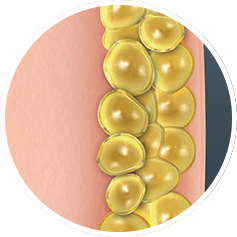 With the advent of new technology it is now possible to remove fat without surgery through CoolSculpting technique. 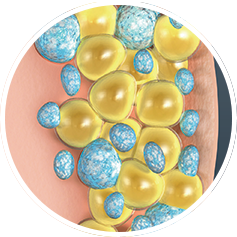 CoolSculpting is a fat freezing procedure – which is the only FDA approved, non-surgical, fat-reduction treatment that uses controlled cooling to eliminate stubborn fat. 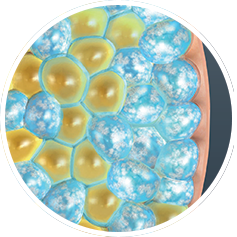 CoolSculpting is not intended for significant weight loss, but for treating stubborn areas of fat. This is suitable for both men & women. The CoolSculpting procedure safely delivers controlled cooling to gently and effectively target the fat cells underneath the skin. During the coolsculpting procedure fat cells that are frozen, gradually die off and leave the body though the body’s natural elimination process. This is why the results are long-term and permanent. During first one-on-one visit to coolsculpting clinician discuss goals for reshaping your body and the areas where you want to eliminate fat. Tailored to body needs – Everyone’s body is different and clinician will design a treatment plan that is best suited and gives desired results. 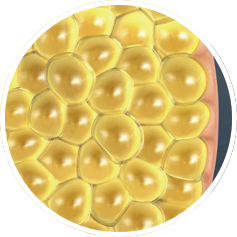 Eliminates fat from bulgy areas – One can freeze fat from one or more areas. Holistic approach to body transformation – Clinician will discuss and recommend which areas can be treated & how many sittings are required. A gel pad & applicator is applied to the targeted area. This applicator delivers controlled cooling to the targeted area fat. With some applicators one may experience sensations of pulling, tugging, mild pinching, intense cold, tingling. The area generally goes numb within 5 to 10 minutes during treatment. One can read, watch videos, work on their laptop, or even take a nap during their CoolSculpting treatment. To review your results, schedule a follow-up assessment with your CoolSculpting provider. Over Indulged this Holiday Season? Try CoolSculpting with Zeltic at Asian Roots and get rid of stubborn fat and be a new you! OR Call us to book appointment now! Refer your family or friends who are facing hair loss problem. If they take any treatment with us, we will refund you 10% of their treatment cost. When you go out in the sun or you take hot shower, does your face starts burning and becomes red especially on the cheeks? Then you might be having ROSACEA. Rosacea is a common skin disorder that causes redness in your face and often produces small, red bumps. Although it can occur in anyone, it most commonly affects middle-aged women with fair skin. It can be easily managed with topical medications and sensitivity can be taken care of. We also have lasers to deal with it and patients see wonderful results with customized treatment package. Do you have dry, frizzy hair or do they break a lot? Be smart while choosing your shampoo. Always use a Sulphate free shampoo and don’t overdo it. If you have dandruff, your scalp itches a lot or you have hair fall. There could be an underlying issue. Consult a dermatologist for proper care. Medicated shampoos can make your hair dry, use them as advised. TIP— use conditioner first at the hair ends, then shampoo and then again condition. Your hair will become very smooth and soft. Are you looking for skin whitening, instant glow or tightening? Now it’s easy to get the skin you always wanted. Asian Roots has all the treatments available for all your skin concerns. If you feel your skin has become dull and you need to do something about your skin regimen. Consult our Dermatologist for any skin concerns on all 7 days of the week.